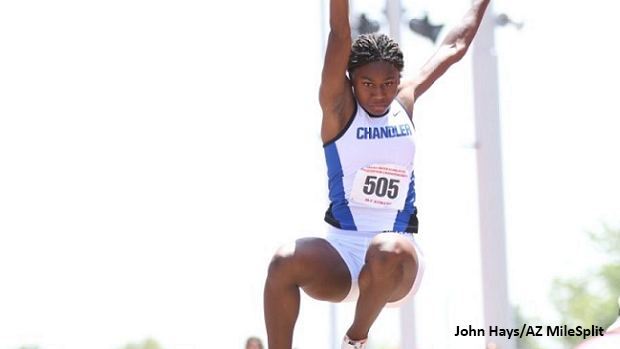 As a Senior, Chandler's top jumper Jai Gruenwald (2018) was eager to push the limits of her jumping capabilities during the Outdoor Track and Field season. Gruenwald had secured the State Title in the D1 Girls Long Jump contest for three straight years, even setting a lifetime best of 19-11.25 as a junior. Though Gruenwald is also an accomplished hurdler having secured State Titles in both of the D1 Girls Hurdles as a junior, she considers herself to be a jumper first and as a Senior she had set some very lofty goals. Arizona has no state-sanctioned indoor season, and though Gruenwald ventured to the Great Southwest Indoor Classic where she placed 2nd in the Long Jump and won the Triple Jump competition, she kept her focus on the Outdoor season aiming to leap past 40-feet for the Girls Triple Jump and to pass Roxane Keating's (Cortez) Long Jump State Record of 20-4.5, set back in 1978. 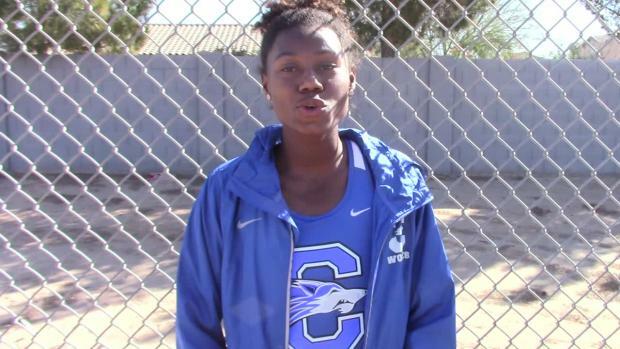 She opened her Outdoor season in late February at the Richard Thompson Classic, where she clinched victories in both the 100m Hurdles and the Long Jump. 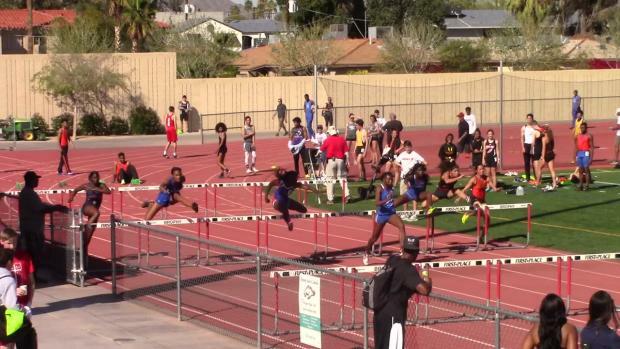 Gruenwald claimed her next victory in the Long Jump at the Brophy AMDG Invitational, where she jumped 20-2 for an AZ #2 All-Time mark. 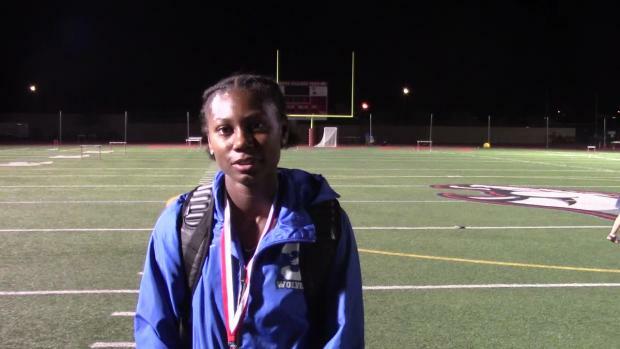 In early April, she ventured out to Arcadia, California for the Arcadia Invitational where she claimed the victory in the Girls Long Jump competition. 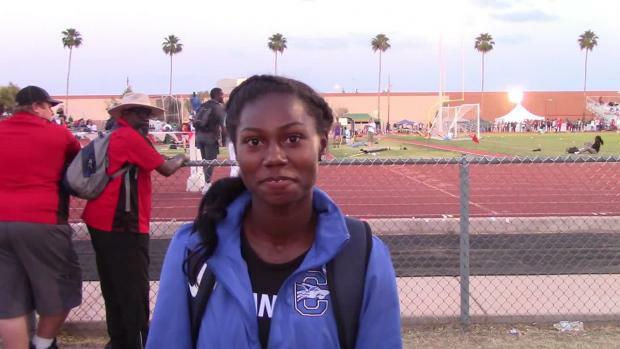 It was almost a month before Gruenwald returned to the Long Jump, this time, at the most important meet of the season and it would be her final High School Long Jump competition in a Chandler uniform. 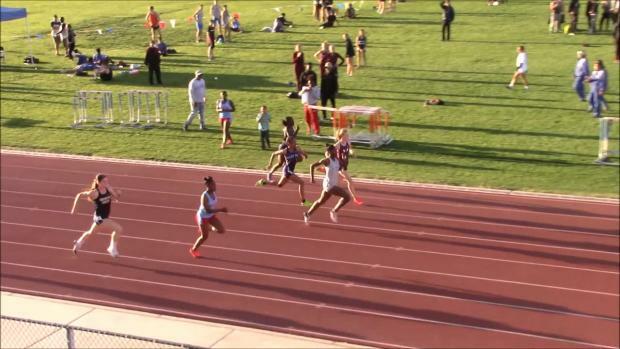 With the help of her High School and Club Track Coaches, Rob Matthew and Larry Todd respectively, as well as the entire Wolfpack family behind her, Jai Gruenwald powered through the 40-year old State Record, to set the new mark at 20-6.75. "My coaches (Matthew and Todd) told me to sprint and stay aggressive and to keep accelerating through the board," said Gruenwald. When asked about how she had approached the Long Jump contest at State, Gruenwald stated "Long is my favorite event and as long as I have my approach and my speed, I could go without doing Long and still know that I will be okay." 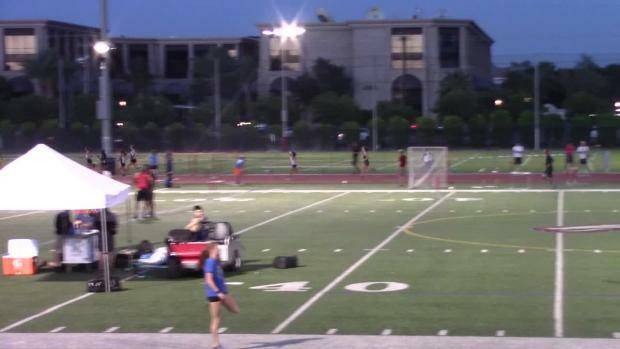 On Saturday, Gruenwald capped off her interscholastic career handily pocketing victories in the Finals of the D1 Girls 100m and the 300m Hurdles, as well as the D1 Girls Triple Jump. In the end, she contributed 40 out total 185 points which handed the Chandler Lady Wolves their 12th victory in 13 years.